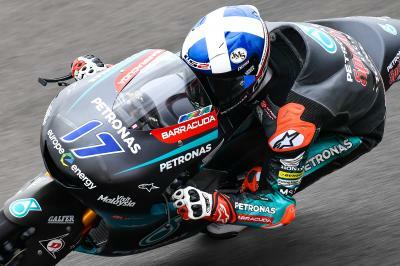 Petronas Sprinta Racing’s John McPhee closed out Day 1 in the Moto3™ class at the top of the timesheets thanks to a 1:49.892, which was two seconds quicker than his lap from FP1 this morning. The 2017 pole man jumped to top spot with his penultimate lap to go 0.079 seconds quicker than the man who grabbed pole position at Termas de Rio Hondo this time last year, VNE Snipers’ Tony Arbolino. Fellow Italian Niccolo Antonelli (SIC58 Squadra Corse) was a further tenth back in third place ahead of crowd favourite Gabriel Rodrigo aboard his Kömmerling Gresini Moto3 machine, with the Argentine improving from 18th quickest this morning to sit comfortably inside the top five at his home track. 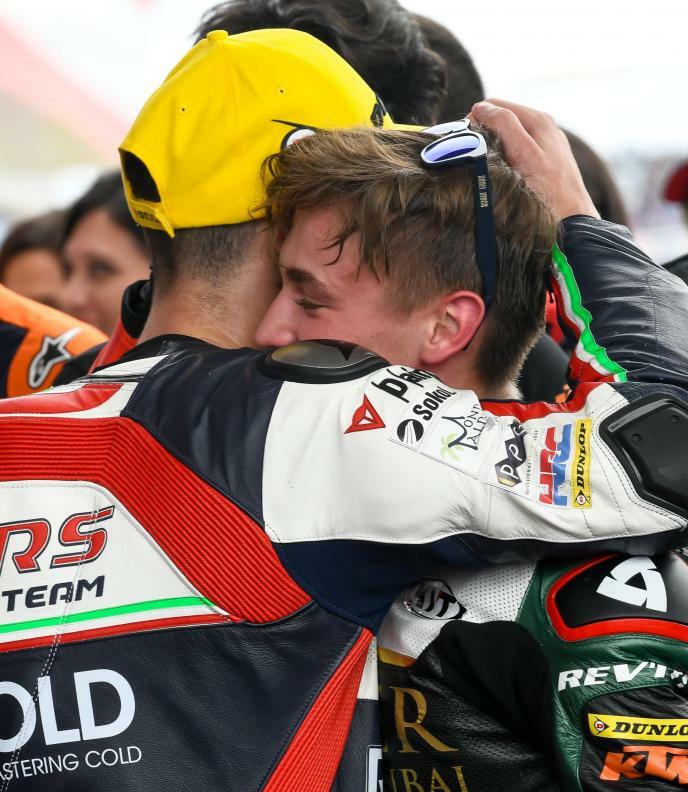 Nobody made a greater improvement than Antonelli’s SIC58 Squadra Corse teammate Tatsuki Suzuki, after the Japanese rider climbed from 24th quickest in FP1, nearly two seconds adrift, to finish fifth quickest in FP2 and just a quarter of a second behind McPhee. 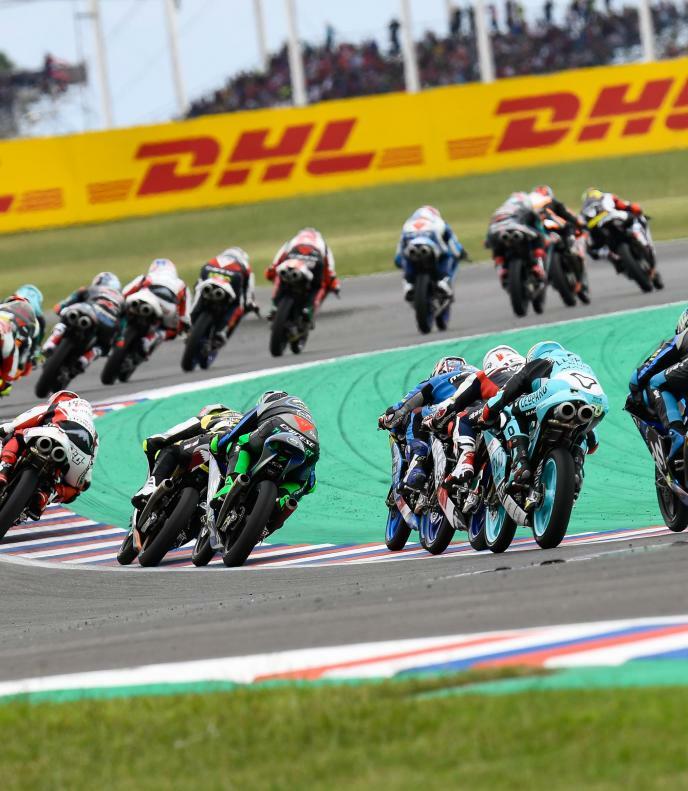 Sterilgarda Max Racing Team’s Aron Canet was two tenths slower than Suzuki in sixth place but just half a tenth ahead of SKY Racing Team VR46’s Dennis Foggia in seventh. 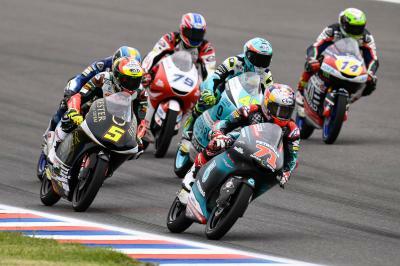 The top seven were all able to improve their laptimes by at least a second and a half but FP1’s quickest man Jaume Masia (Bester Capital Dubai), who could only improve by 0.6 of a second seeing him drop to eighth quickest overall. 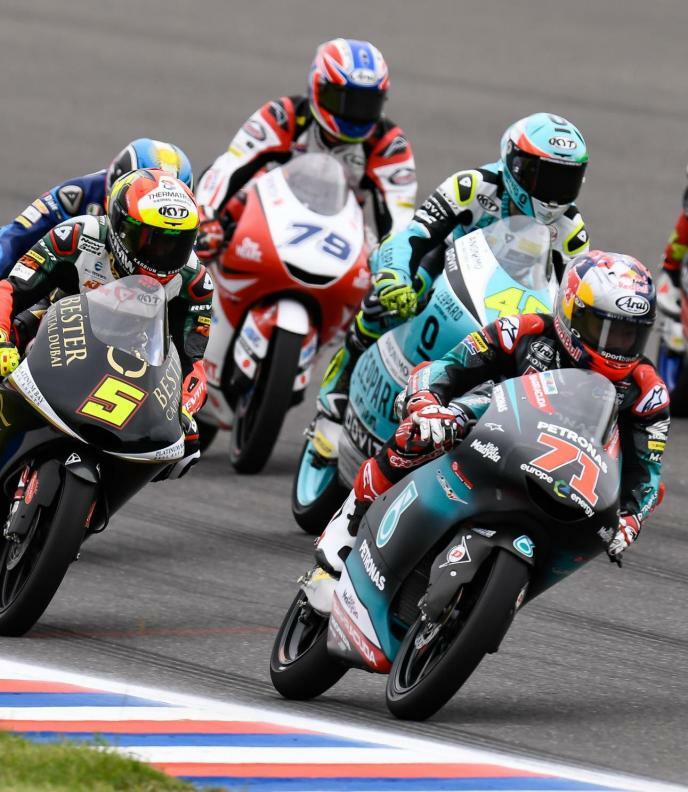 Rounding out the top ten were Vicente Perez (Reale Avintia Arizona 77) and Raul Fernandez (Sama Qatar Angel Nieto Team), meaning Honda occupied the top five places and KTM machinery filled places sixth to tenth. 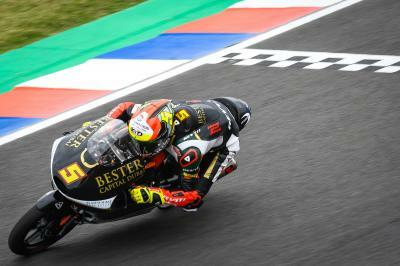 Leopard Racing’s Lorenzo Dalla Porta recovered from an early crash at Turn 7 to finish the session eleventh quickest, marginally ahead of his teammate Marcos Ramirez. Early championship leader Kaito Toba (Honda Team Asia) also had crashed out unhurt early in the session but was still able to hold on to a provisional place inside the top 14 ahead of Q2 tomorrow. VNE Snipers’ Romano Fenati is the last of the provisional riders going straight to Q2 in fourteenth place, still under a second behind McPhee. The Moto3™ riders last opportunity to secure a place straight to Q2 comes in FP3 on Saturday at 13:00 local time (GMT-3). How does it feel to win for the first time? 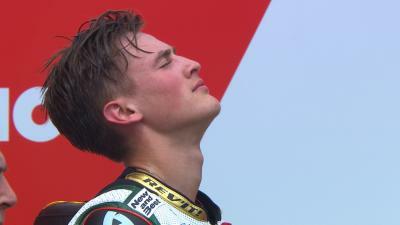 Pole, crash, victory: what a weekend for Jaume Masia!